Mutual Comedies | Cinema, etc. On 25th February 1916, Charlie Chaplin signed a $670,000 deal with the Mutual Film Corporation to produce a film a month over a one-year period. This made him the highest-paid entertainer in the world. The deal came as a surprise to the film industry; many had expected him to sign with a larger studio and Mutual hadn’t really been considered as an option. However, the money (according to Dollar Times online calculator it was equivalent to $15.2m in 2015) and the creative freedom swayed him and production began in earnest. The first of these films, all of which were short comedies, was The Floorwalker, released on 15th May 1916. The basic story involves a department store floorwalker (Lloyd Bacon) who is involved with embezzlement of money with the store manager (Eric Campbell). When they receive a letter informing them that detectives are on the way to investigate the finances, they decide to run. 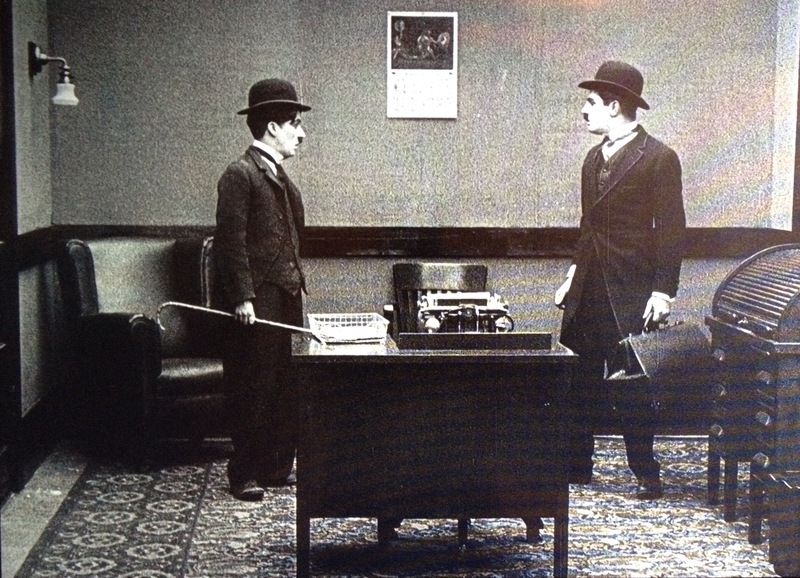 However, when the floorwalker spots a near-perfect lookalike in a tramp (Chaplin), he decides to offer to switch personas with him, without realising that the tramp himself is in trouble with the police for property damage in the shop. The film has a couple of classic Chaplin comedy moments. The first (which is reused throughout to great hilarity) involves the tramp’s inability to go up or down an escalator. It is just pure comedy gold and though it has been imitated many times over, never has it been done so effectively. Another set piece that has had its imitators over the years is the first meeting of the trap and the floorwalker, in which they become intrigued by one-another and begin to mirror the other’s movement. It requires perfect comic timing and is brilliantly executed. It is perhaps more fondly remembered in The Marx Brothers’ comedy Duck Soup, though the gag in that film involved a mirror so isn’t strictly a copy. All twelve films from the Mutual Film Corporation period are collected in an excellent Blu-ray (and DVD) released by BFI this month. The presentation of each includes two scores (all have one score by Carl Davis and an alternative score by a range of composers), an audio commentary and a brief discussion in the extensive booklet. The restorations are evidently full of care and attention to detail, which I’ve come to expect of BFI releases but will never stop appreciating. Go out and buy a copy now and support the important restoration projects for classic cinema. You won’t be disappointed with this release.